Cherelle is a 21 year old from Samoa who has been involved with the YWCA for three weeks. In this short time, she has participated in the YWCA Aotearoa New Zealand/YWCA Samoa Young Women’s Leadership Training, the Asia Pacific Monitoring and Evaluation Meeting and the International Leadership Institute. 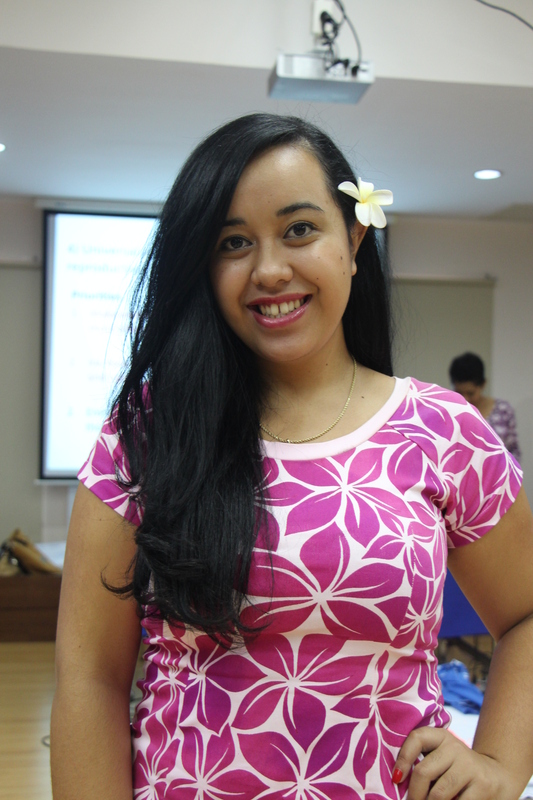 Here she shares some of her learnings and her hopes for the future of YWCA Samoa revitalization. Three weeks ago today, I met an amazing woman named Sina Wendt-Moore. She was in Samoa at the time with other women from the YWCA of Aotearoa New Zealand conducting a Young Women’s Leadership Training in hopes of revitalizing the YWCA of Samoa. Twelve short days later, I was on a plane to Bangkok, Thailand, representing Samoa in the Asia Pacific Monitoring & Evaluation Meeting and the International Leadership Institute. In Fiji they take a Christian and scripture based approach that supports a young women’s rights to make informed decisions and be free from violence and discrimination. In Haiti they have an after-school programme for girls which provides them with leadership skills and gives them intangible assets such as financial literacy, self-esteem and key economic concepts. In Lebanon they hold interactive workshops for young men and women in high school. They focus on creating awareness of violence against women and gender discrimination. These examples are only few of many. I have found that each delegate I talk to shares similar concerns for the young women in their country. With 80 young women leaders from around the globe, we have built a strong and collaborative network of which we will we use to help each other, learn from one another and grow together as a team. The mentors and guest speakers at both of the conferences have all been inspirational role models and women leaders. From each session I have expanded my knowledge set on a vast range of current issues and as a result, expanded my overall skill set. Knowledge truly is power! I now have more confidence to speak in public, to articulate myself and express my opinion. In June 2013, a YWCA Samoa meeting will be held to discuss and plan a Leadership Programme for young women. I plan to take all the lessons I have learned and all the skills I have gained to fully contribute to this planning and further pass on these lessons to young women in my country. To close, I would just like to send a big Fa’afetai Lava, Khob Khun Kaa and Thank You to the incredible women that made this experience possible for me. Juli Dugdale, Sina Wendt-Moore and the amazing YWCA mentors and facilitators, you have changed my life. I can only hope to inspire others as you have inspired me.